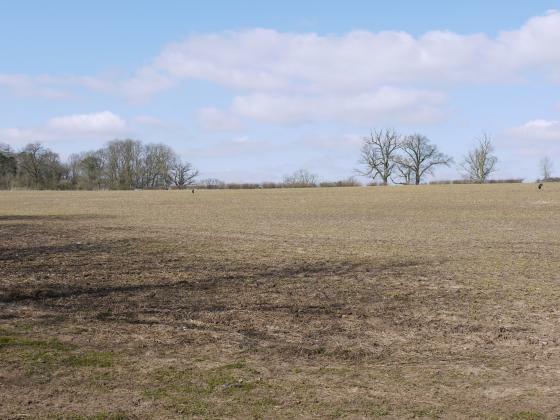 This first visit was to walk around the fields of Brookfield Farm before making visits to individual sites to start recording. 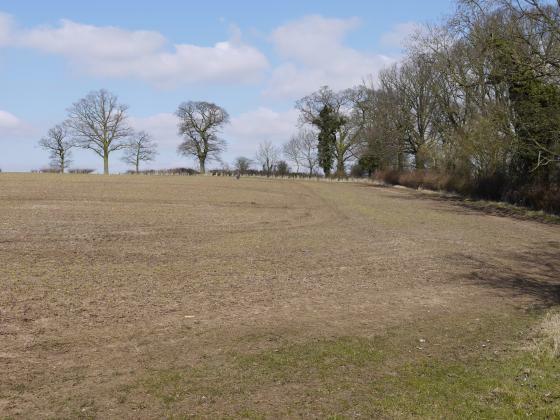 This field is on the ancient and current Rothley Parish Boundary and the boundary hedgerow will be recorded as part of our RAPS Survey. Field Pond 14 (Site 160) extends into a corner of this field. 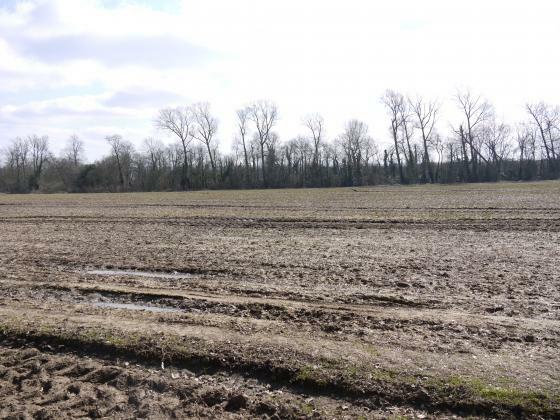 The hedgerow between this field and Site 216 Far Wanlip Sic, beyond to Site 215 East Wanlip Sic and then the final hedgerow dividing Site 214 Upper Wanlip Sic have all been removed so I have put Sites 214-217 together under Site 214 and called it Wanlip Sic. 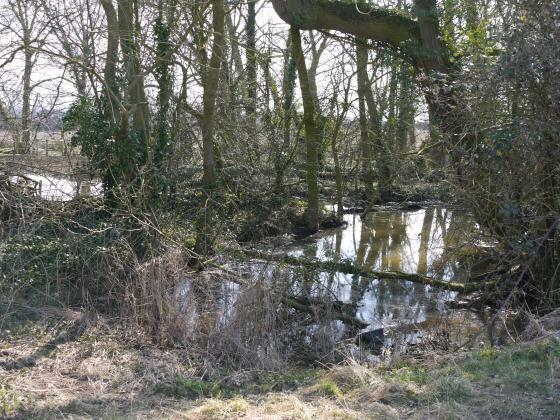 We have tried to work out where the hedgerow might have joined up with Broadnook Spinney Ancient Parish Boundary and it is where the piece of land juts out from the boundary line which is the stream. 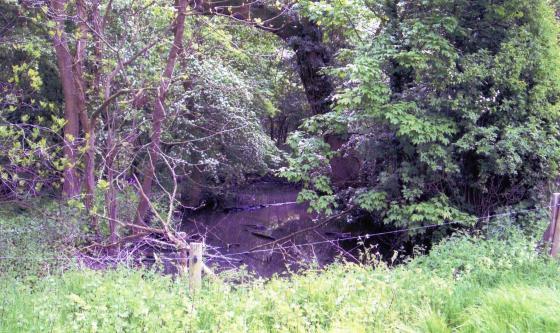 A small length of the original piece of ditch that would have run the length of the dividing hedgerow is still showing between the stream and the piece of land. 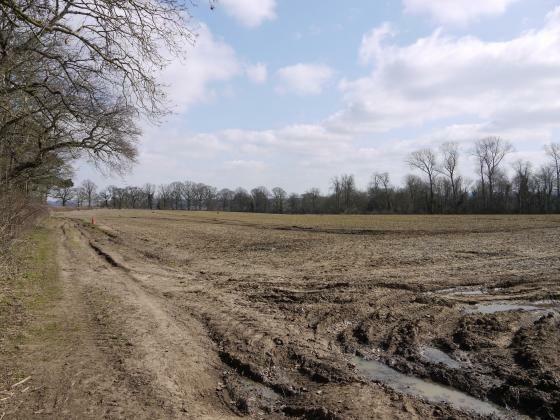 Owners: Mr Bill Wright, Brookfield Farm, Hallfields Lane, Rothley, Leics. Another dull, overcast, chilly day, not good for photographs so hoping for an improvement next week. Once again, the boundary continues as in Stint 29 with its spacing and more evidence of old fencing with the cross pieces threaded through the holes in the uprights. The hedgerow gets more sparse with Stint 30C having only a quarter of it with any hawthorn or other hedging. Towards the end of this part it changes from Site 212 Church Wardens land to Site 214 Wanlip Sic. At the end of the dividing hedgerow the line of the ditch changes slightly and widens to resemble a small pond area with water. Yet again, more map research needed about this. 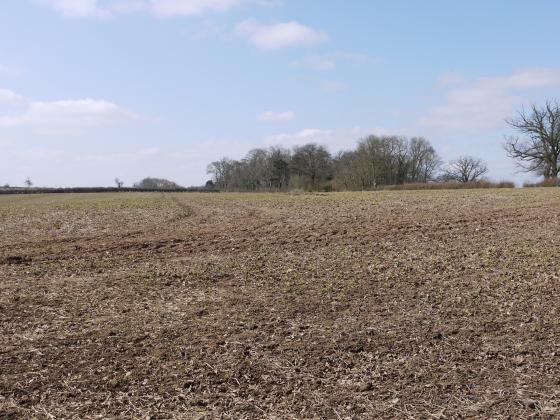 The remainder of the stint is very gappy, the spinney which borders it is in a very bad state with fallen trees which would crash into the boundary and weaken it. A very poor piece of the Ancient Parish Boundary. Site 217 is closest to Site 160 South Hall Field. This stint is again very poor for species, with Stint 31D having one piece of elder and a fallen Oak. There is still the ditch for the whole length and some fencing as in Stint 30. The other part of the stint was sparse. However, this is why we are making this record, in case it completely disappears due to land use or utter degeneration. Looks like the latter will win in this stint. The Broadnook Spinney along this part is again in a very poor, unmanaged state with fallen and leaning trees. We walked back through the spinney and I found a live Mole trying to decide where to dig itself in. Map Title: Site 214 Wanlip Sic (See note in Stint 31). Another very poor stint for shrub vegetation. 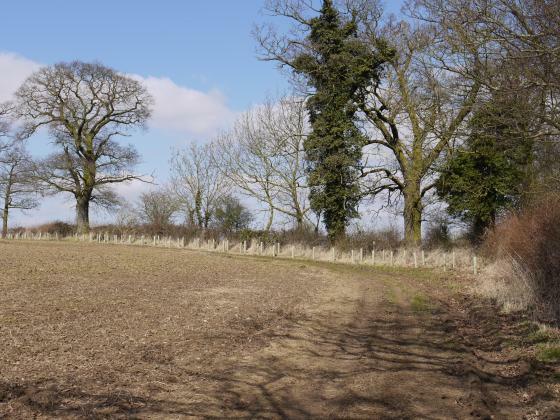 There is evidence of the old type slotted fencing where the boundary is sited. 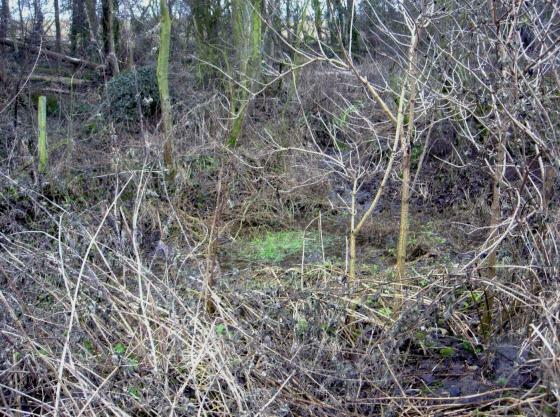 There is a strange change of direction in Stint 32B where the ditch/stream cuts through a small corner of woodland to emerge once again along the field boundary. It was good to see a stand of Holly in Stint 32B but amidst very sparse boundary shrubs. 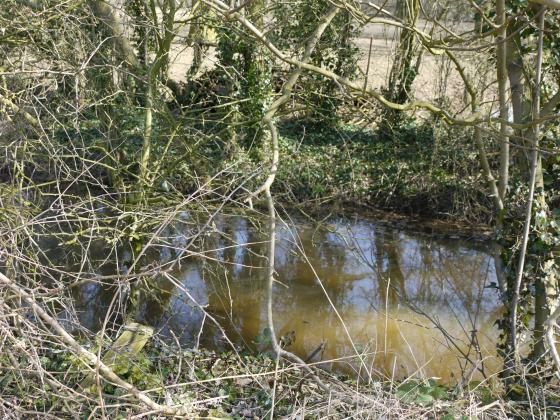 The ditch/stream is a few yards beyond the boundary, into Broadnook Spinney, in Stint 32D but there looks to be a ditch-like depression alongside the hedgerow. 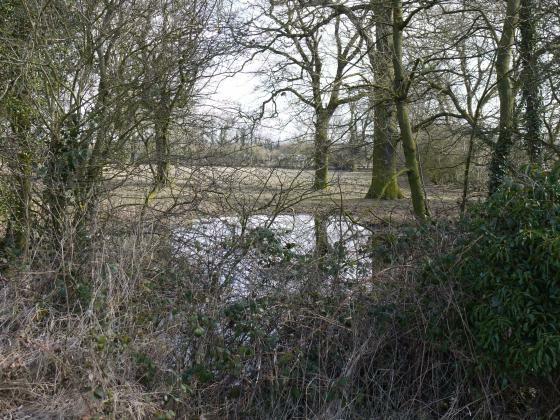 Location: Boundary accessed from old A6, along the public footpath (Blue Gate Lane), into Broadnook Spinney (Wanlip Parish) and under the fence into Wanlip Sic. 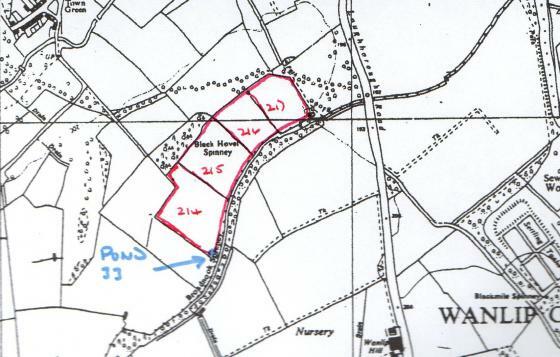 Map Title: Site 214 Wanlip Sic, along the 'drain' by Pond 14 (South Hall Field Pond) and along the public footpath by Site 160 South Hall Field. 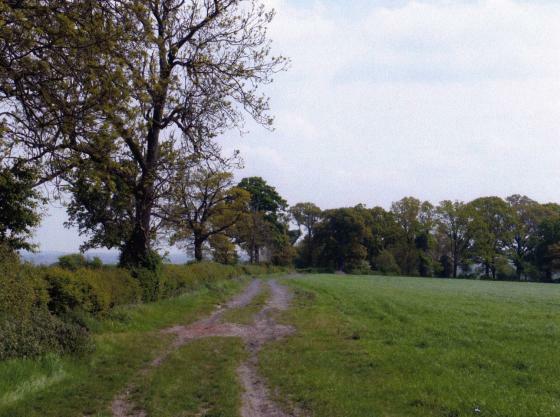 Public footpath alongside Site 160. This stint sees many variations from field hedgerow to centre of a drain and ending with a public footpath and double/treble hedgerow. 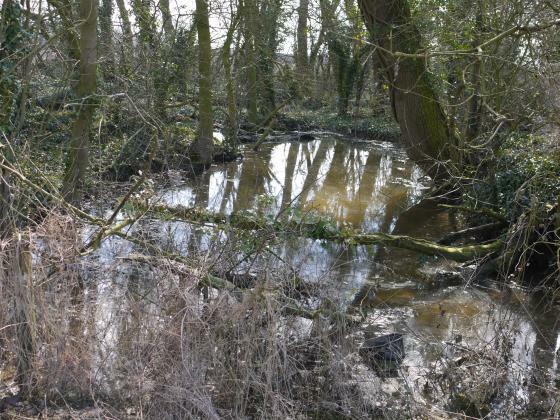 At the start of this stint in Site 214 Wanlip Sic there appears to be evidence of a shallow ditch with the stream/drain running a few yards back from the hedgerow. Again, this part of the hedgerow is very sparse with single stands of hawthorn, sycamore and dead elm. Stint 33B changes direction and the boundary line is the centre of the drain which has water in parts but a dry inflow to Pond 14. Both sides of the drain have individual hawthorns just as in the last few stints. This part has a mixture of hawthorn, elder, sycamore and dead elm. Stint 33C continues to run along the drain and changes direction into a straight run down the Public Footpath, under a concrete bridge which gives access to the continuation of the footpath through Site 160 South Hall Field. Where the boundary runs at the foot of the hedge along the footpath there is a good ditch/drain still alongside and a further hedgerow on the field edge. There is also a further hedgerow on the Wanlip side of the footpath giving three hedgerows in parallel. 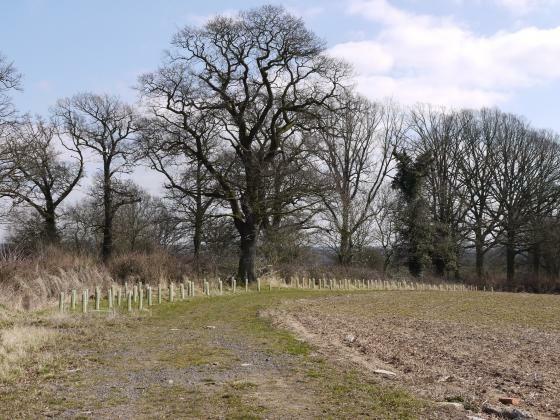 The boundary hedgerow again has spaced individual hawthorns and, on the further side of the ditch, a good-sized Ash Trees 353 with a girth of 2.55metres, which is detailed in the Natural History Survey under Site 160 South Hall Field. In addition there are other multi-trunked Ash Trees on both sides of the ditch. 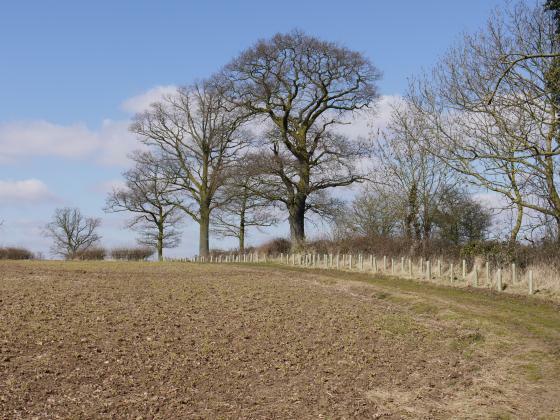 It has been interesting to see how the spaced Hawthorns run along the Broadnook Spinney part of the Rothley Ancient Parish Boundary. 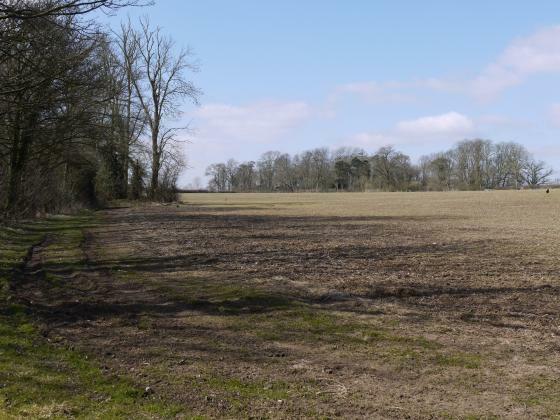 The pictures cover Sites 214, 215, 216 and 217 as there are no dividing hedgerows so called Site 214. XHTML 1.0 validated. WCAG compliant. Page generated in 0.2402 seconds.